Great book for those planning a trip to NYC. It gives fascinating, behind the scene details about Grand Central Terminal. Evocative for armchair travelers. Approximately 750,000 people visit New York’s Grand Central Terminal (GCT) each day. Two-thirds of them race to catch trains, while the remainder, tourists, stroll through the historic Beaux-Arts landmark. GCT has been featured in hundreds of movies, TV shows, novels, music videos, photos, advertisements, and other media formats. As a result, the stately building has become the World’s sixth most visited tourist attraction and is recognized around the globe. In her latest novel, Terminal City, best-selling author Linda Fairstein pays tribute to GCT, and has once again created a fast-paced police procedural featuring her popular protagonist, New York City DA Alexandra Cooper. I enjoy Fairstein’s novels because they have such a strong sense of place, that the location becomes an additional character. Categories: New York | Tags: Cornelius Vanderbilt, Destinations for Readers, Grand Central Terminal, Grand Central Terminal Clock, Grand Cetral Terminal Ceiling, Hidden Staircase, Linda Fairstein, Mid Atlantic Region, Mid Atlantic States, Mid Atlantic Travel, NASA’s 1957 American Redstone, New York Central Railroad, New York City, Novel Destination, Novel Locations, Novels About New York City, Novels for Vacation, Opal Clock, Oyster Bar, Reading Roadtrips, Terminal City, Whispering Gallery | Permalink. Like many avid readers, I love touring libraries and bookstores. I especially enjoy seeing another writer’s library. Browsing through their bookshelves makes me feel like I’m getting to know them, and understand how they think. 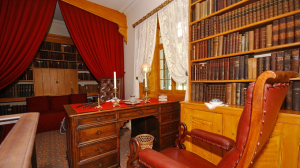 One of my favorite libraries belonged to Washington Irving, in his Hudson River Valley home, “ Sunnyside .” It shares a lot of characteristics with other period libraries, floor-to-ceiling bookcases filled with leather bound volumes, a beautiful desk, and comfy chairs. What I really like though, is the banquet placed in the alcove, where Irving was known to take the occasional nap. That’s a writing technique I regularly practice. Categories: Family Travel, New York | Tags: beautiful bookstores, beautiful libraries, Historic Hudson Valley, Hudson River Valley, Johnny Depp, New York, Philipsburg Manor, Sleepy Hollow, Sunnyside, Tarrytown, Tim Burton, Washington Irving | Permalink. About this time of year, I’m always hit with a crazy combination of cabin fever and recklessness. I start looking for adventure activities that always makes my husband intone, “I think you need to make an informed decision about this event.” Inspired by the Sochi Olympics, I’ve found the perfect action venue to quench my thirst for winter thrills. purchased in person during ride sessions, although space can be limited. Track & weather conditions permitting. Call 518-523-4436 (Monday-Friday 9:00 a.m. – 4:00 p.m.) or email. Combine with the Lake Placid Skeleton Experience on Saturdays and expanded hours during the Holiday periods for twice the thrill. Combo tickets are $125, combo rides must be taken same day. Times may vary. Check calendar for availability. Categories: New York, Outdoor Adventures, Sports | Tags: Adventure Travel, Bobsled, Lake Placid, Mid Atlantic Travel, New York Travel, Outdoor Adventures, Sports, Winter Sports | Permalink. 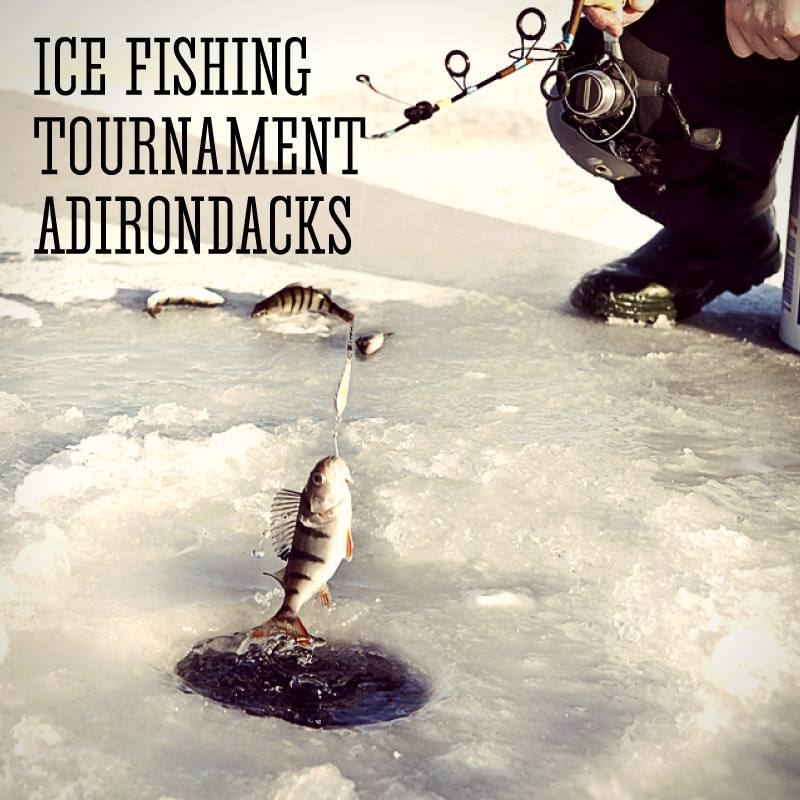 Categories: Contests, New York, Outdoor Adventures, Sports | Tags: Adventure Travel, Fishing, Lake George, New York Recreation, New York Travel, Outdoor Adventures, Sports | Permalink.